Unicorns and Green Hair. cowbiscuits | UK Lifestyle, Style and Beauty Blog. 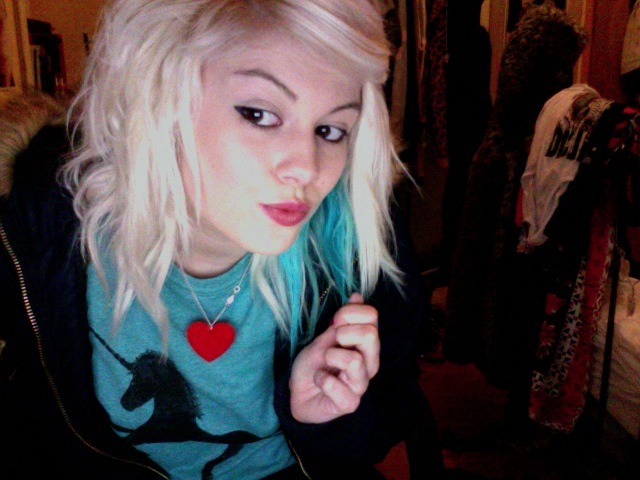 : Unicorns and Green Hair. Life is getting in the way of my blogging time and also lack of sun/light in my little flat means no pictures. BUT I'm going back to Devon next week where I will devote time to taking snaps and outfit pictures so blogging can happen more often! Heart Necklace - Trashy Doll. Love this necklace have been wearing it all week. I'm sure I'll get bored of this too in a few days haha. Love the turq, suits you! I've got that jumper, I love it. Your hair looks great too! That jumper is very you! 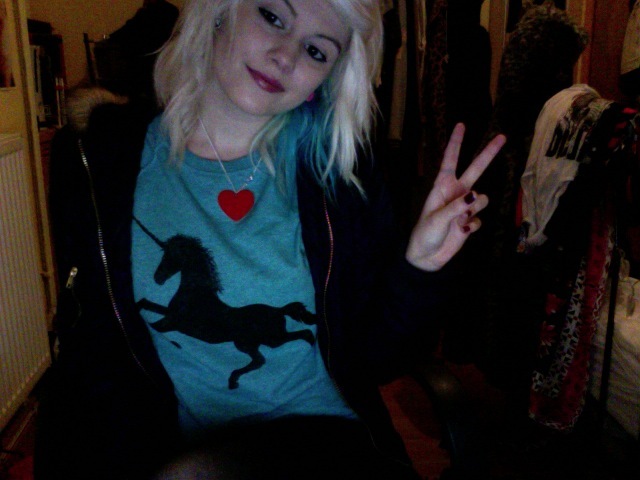 I love the unicorn jumper! I really need to stop coming on your blog, I dye(ho hum) of hair envy everytime I see your blonde locks! I love love love that shirt! super cute! Looks awesome! Especially with your bright sweater. that heart necklace is super cute! It's so much easier to be blonde, any colour tips look good >.< And it's an easier process if your are already blonde, as for brunettes, we have to bleach the hair to blonde and then dye it :/. Actually i think the green hair not perfect with you, you can try the Leather Hobo Handbags black and the best quality black leather shoulder bags Women with you in my opinion! One reason is that hair stylists take time to divide hair into sections first. I love your style and your hair! !